Here comes Herndon … bring it on! The Naval Academy is steeped in traditions and one of my favorites is finally … finally … within sight. The Herndon Climb! The end of Plebe Year is within reach for the class of 2022! This will be the second Climb since my son’s class put Plebe Year behind them, but whenever I hear “Plebes No More,” I still get misty-eyed. It was such a catharsis for our family that it still stirs very strong emotions. Induction Day and Plebe Summer smacked us upside the head and we were reeling for a good portion of Plebe Year. When I talk about Plebe Year, I get all sorts of responses, which only bolsters my belief that “your experience is the right experience” when it comes to life at the Naval Academy. I’ve heard it said that time at the Naval Academy is broken into three parts – Plebe Summer, Plebe Year and the rest of your time. So far, I have to say that seems accurate. Before my son received his appointment, my only thought of Herndon was as a Washington, D.C. suburb. Then that monument – and what it represented – became a central focus for our family’s lives. I loved researching the monument’s namesake for my book (“Anchored In Tradition” is available on Amazon) and the journalist in me wants to doubt the validity of his story. 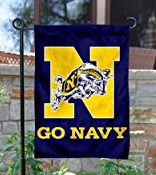 But the USNA Dad in me has bought in 100%. I envision Herndon, in full uniform, standing at the helm of his ship at it lurches into the sea, while the people he made sure were safe, watched in awe. Pretty inspiring stuff. And the Class of 2022 is no doubt inspired! Hard to believe their Plebe Year is almost over. I’m excited for them and excited for their families. And before you know it, we’ll be welcoming the Class of 2023. The cycle continues! I won’t be there (unfortunately) but plan to find the live stream and watch. Go get ’em, Clas of 2022!